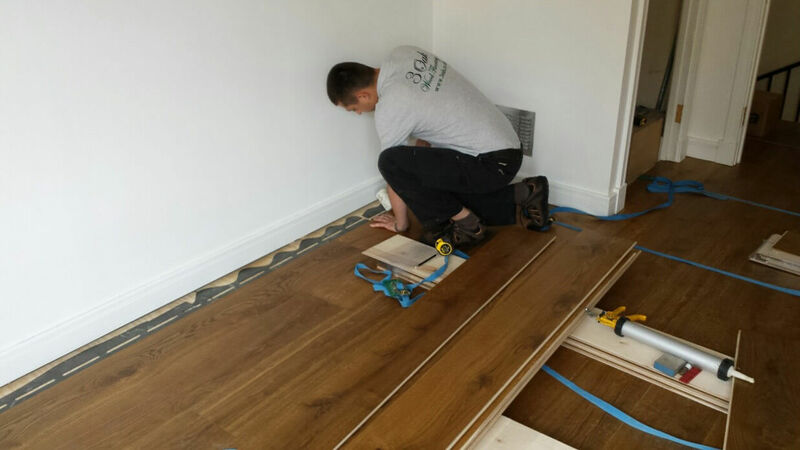 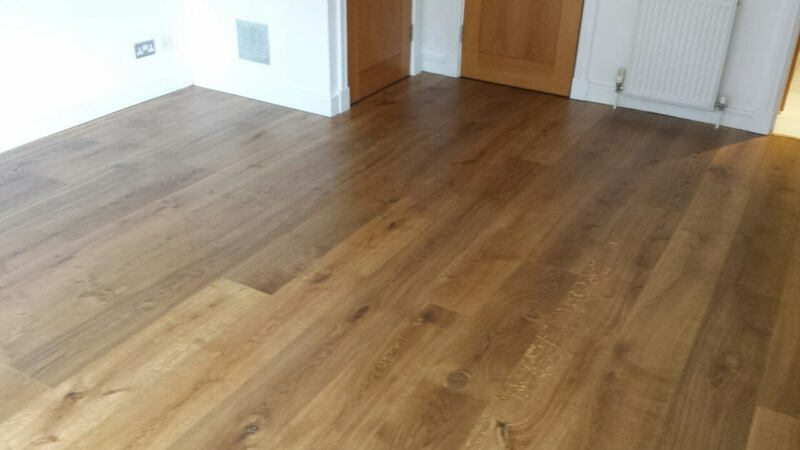 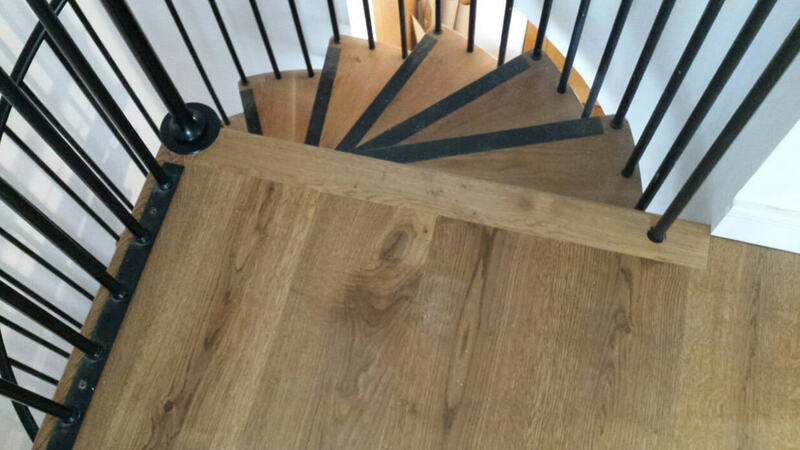 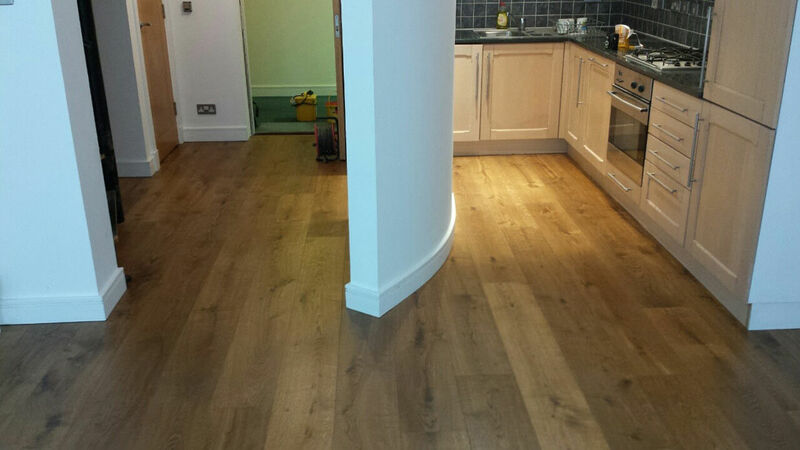 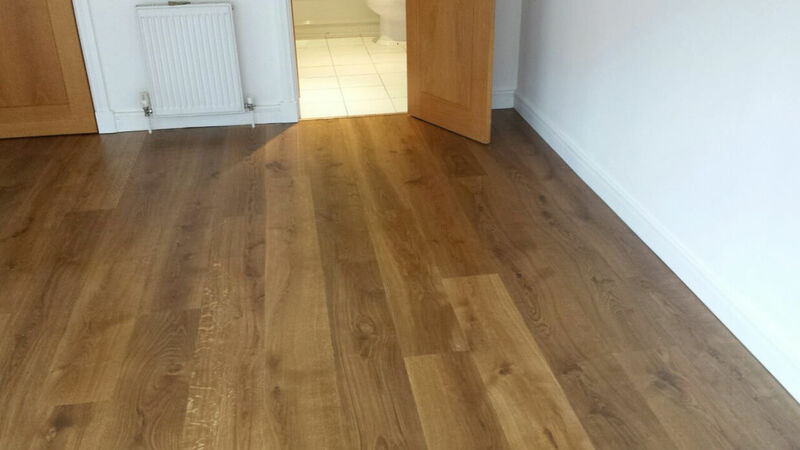 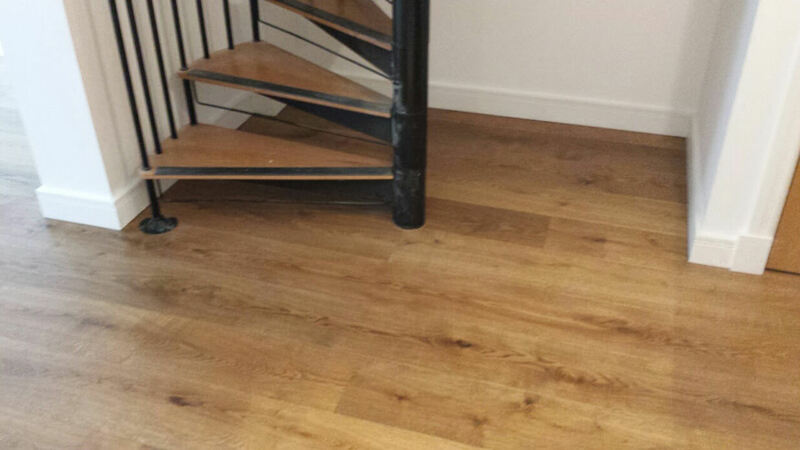 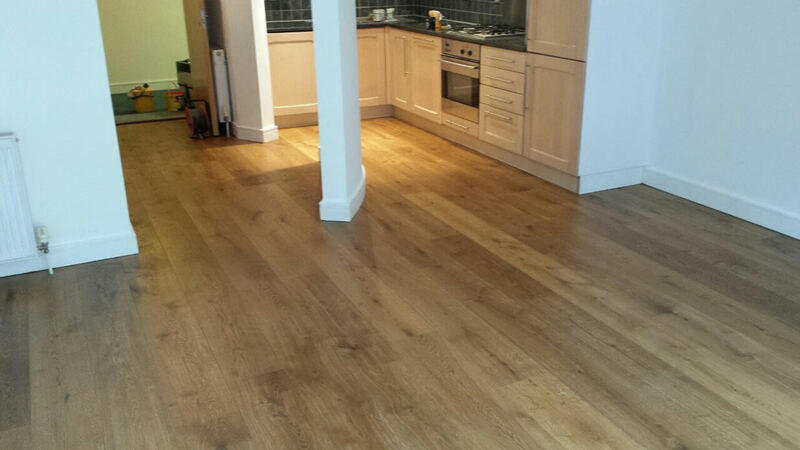 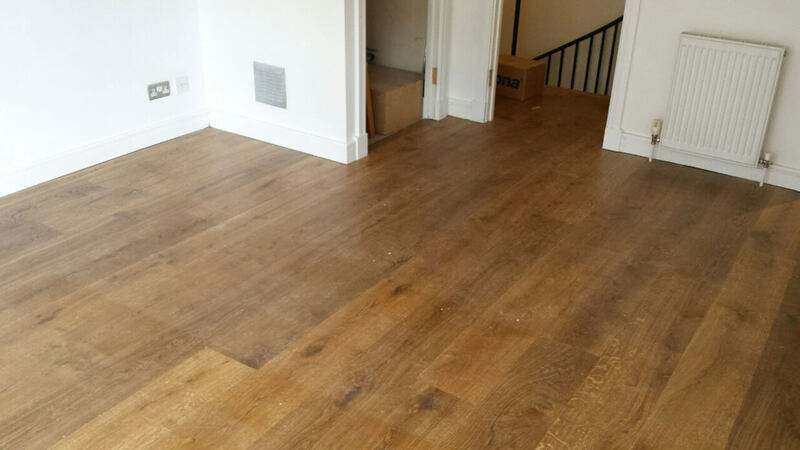 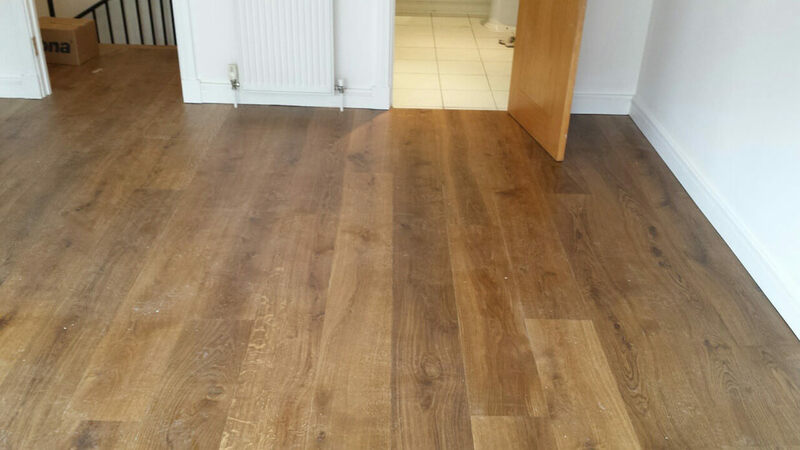 For this project, we used an “Antique Bronze” colour finish with our Character grade 220mm by 14mm engineered oak boards to give a homely and warm feeling to the floors and staircase. 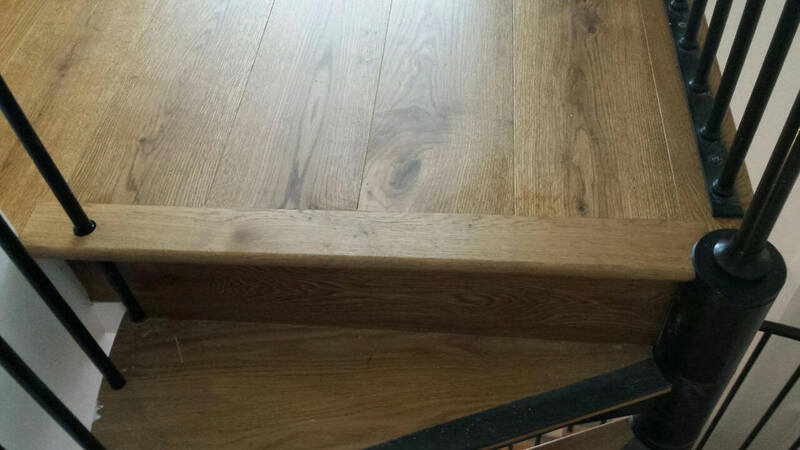 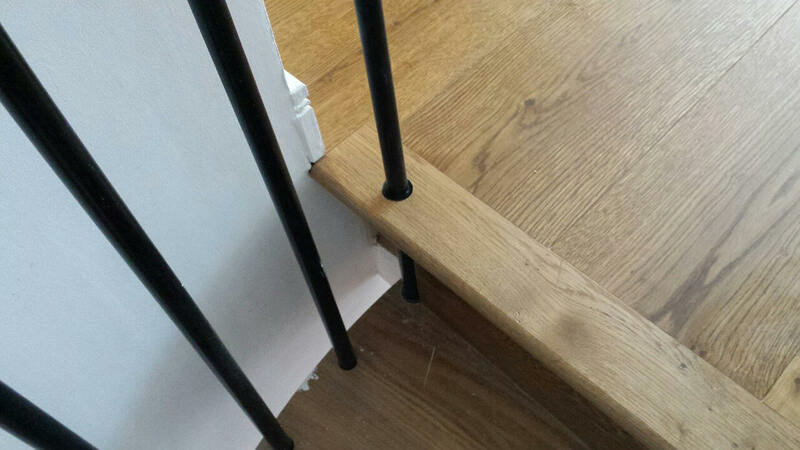 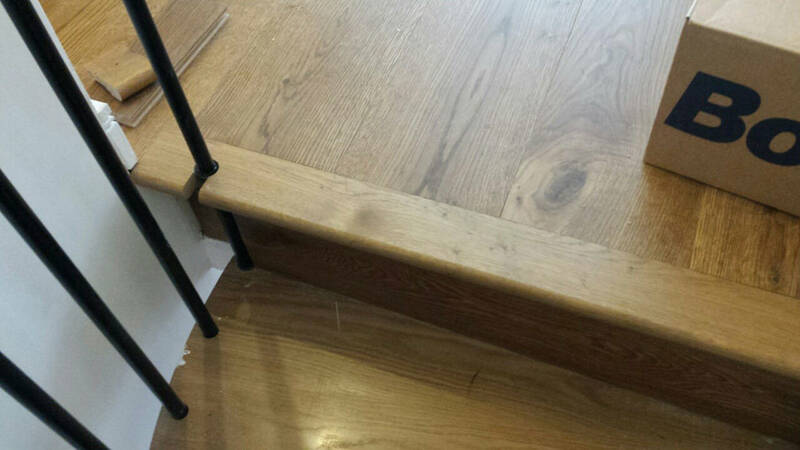 For the staircase we used our oak beading, treads and risers which had already been finished to match the flooring. 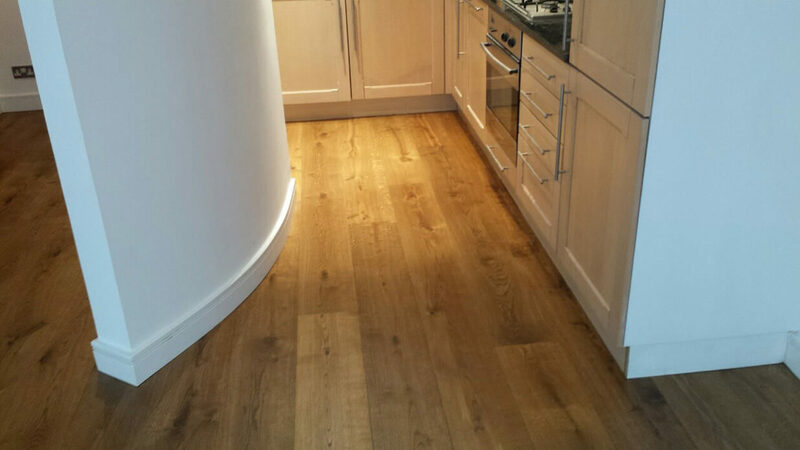 This creates a continuous flow of flooring that feels welcoming and natural. 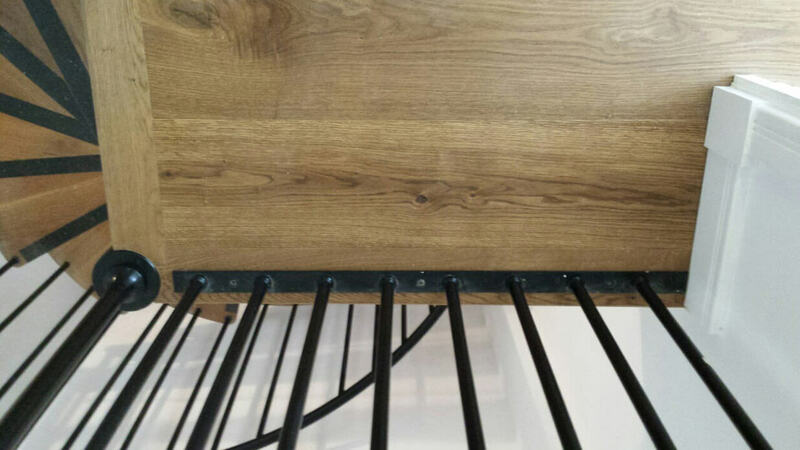 The client used this finish because, like others in our Mid-Tone Collection, it provided the perfect middle colour between the black staircase and the white walls. 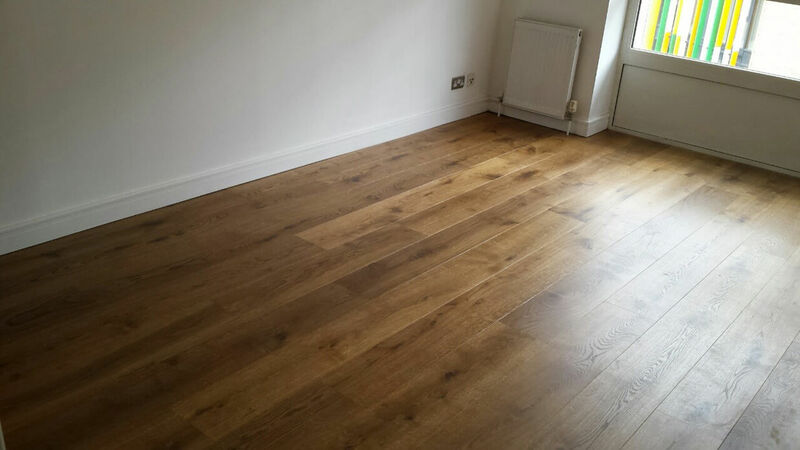 This elegant colour clashes with neither, and complements them both leading to a clean, smooth and graceful look. 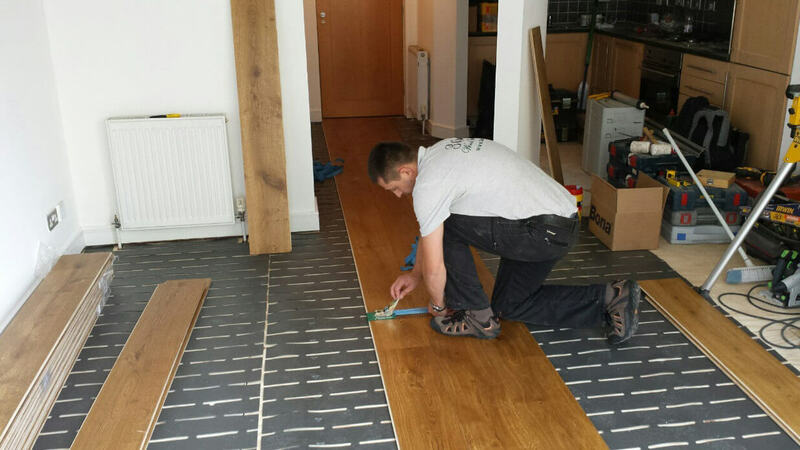 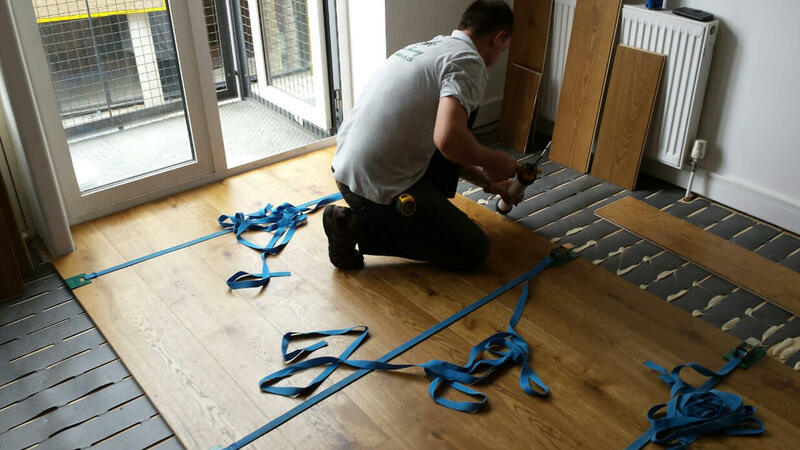 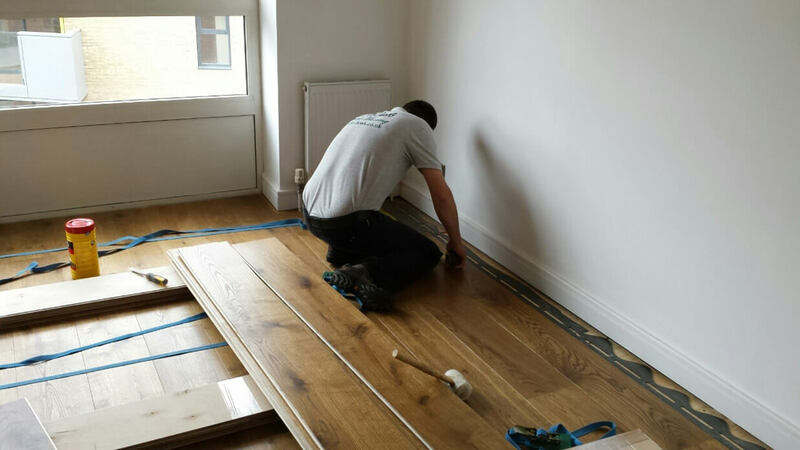 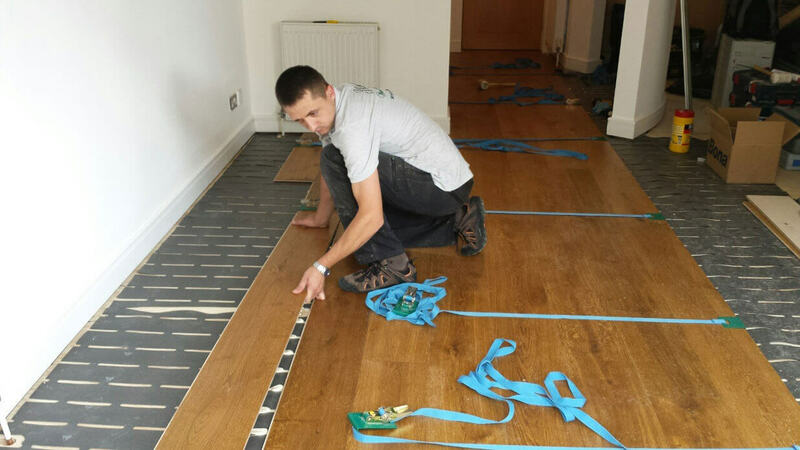 The floor was also fitted with our acoustic underlay which improves the floors noise deadening capacity by reducing vibrations travailing though the underlay. 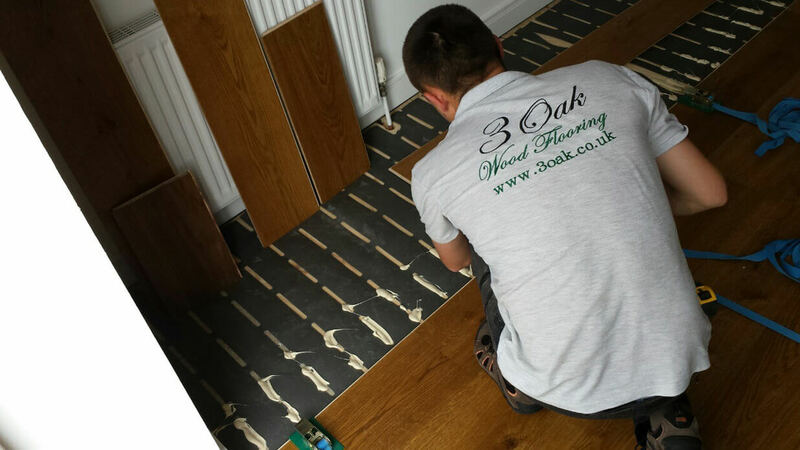 This sort of underlay is perfect if you want to create a quiet, peaceful atmosphere or if you have loud, inconsiderate neighbours.